TEMPANY DECKERT: HUMAN RIGHTS PLAYWRITING PRIZE WON! 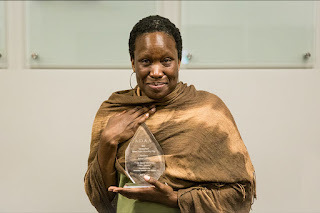 HUMAN RIGHTS PLAYWRITING PRIZE WON! Huge congratulations to June Carryl for winning the Saroyan Human Rights Playwriting Award. THIS is why plays and the theatre are still so important. They tell stories that need to be heard to heal, grow and move forward as a community.